Scott Morrison, the Prime Minister of Australia, has summoned the Consul General of Turkey Korhan Karakoç due to a speech held by President and Justice and Development Party (AKP) Chair Recep Tayyip Erdoğan for the 104th anniversary of the War of Çanakkale. 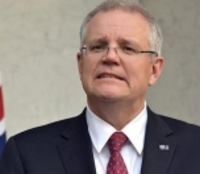 Speaking after his meeting with Karakoç, Morrison said, "Remarks have been made by the Turkish President Erdogan that I consider highly offensive to Australians, and highly reckless in this very sensitive environment. "The comments also completely misrepresent the very strong position taken by the Australian and New Zealand governments in our response to the extremist attack in New Zealand that was committed by an Australian." Speaking to the press after his meeting with Consul General Karakoç, PM Morrison also stated that he did not accept the "excuses" offered for the comments. He also added that "all options are on the table" if the government of Turkey does not retract these comments. Prime Minister Scott Morrison said that Australia has been reviewing its travel advisory for Turkey and added that "people should exercise common sense in relation to their travel plans." It has been further stated that the travel advisory in question might as well apply to Gallipoli, which thousands of people from Australia and New Zealand visit each year for the commemorations of World War I on April 25. Further commenting on the remarks of Erdoğan, PM Morrison said that his statements "insult the memory of the Anzacs" and "violate the pledge that is etched in stone at Gallipoli" by Mustafa Kemal Atatürk, referring to an inscription at the Anzac Cove in Gallipoli, Çanakkale.